Not all commercial roofing companies are qualified to properly install flat and low slope roofing systems. Most claim to be knowledgeable, but fall short when it’s time to perform, often leaving you with worse problems than you started with. Certified in the most popular roofing systems for flat and low slope roofing, we are sure to have a solution for your particular needs. From complete tear offs and re-covers to complete maintenance repairs we have you covered. We have been flat roof experts for over 20 years. There is no one size fits all when it comes to flat roofing. If you’re having problems with your flat roof, give us a call and we will give you a full and objective assessment of your needs and offer solutions to fit your budget. Did you know that most flat roofs should have a complete inspection and maintenance repairs performed every 3-5 years after initial installation? Also roof drains need to be cleaned at least once or twice a year. Unfortunately, most building owners neglect these items and don’t call us until it’s too late. Or worse yet have a “handyman” or inexperienced roofer try and repair the problem. Your roof is the single most important element of your buildings envelope, and yet is typically the most neglected. If you haven’t had your roof inspected and serviced, you should consider giving us a call. We offer a “quick” inspection which is a walk around with the owner or maintenance person or full “survey” service which includes core samples, pictures, and a full report with specifications for any repairs needed. 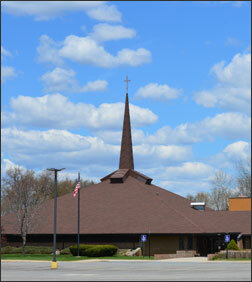 Fees vary for these services depending on size and complexity of the roof.